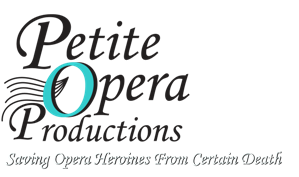 Petite Opera Productions: And Yet Another Review! "I have been attending the Lyric Opera since the 1980's, and have to say that ‘Al Fresco: Life Through Opera-Colored Glasses’ was more entertaining than any of the productions I have seen in years! I laughed so hard so many times during the performance that I thought I would burst! This show is an absolute gem! Everyone should see it!"